Leading up to his 1964 Title Fight with Sonny Liston, Muhammad Ali’s stated that he would, “Float like a butterfly, sting like a bee.” Being that he won the fight by TKO in the 7th Round, you cannot fault Ali’s “words of wisdom” but it makes you wonder; wouldn’t he have seemed scarier if he said he stung like a scorpion? Scorpions are predatory animals most known for their sharp claws and tail, equipped with a venomous stinger. That venomous stinger would surely have made Sonny Liston tremble more than a simple bee sting. Striking fear in their prey as well as in us humans, scorpions not only bludgeon their targets, but are quick to use their stinger to inject deadly venom. Building upon the intimidation of the scorpion, Accessory Genie has come out with an essential gaming accessory which resembles; you guessed it, a scorpion. The ENHANCE GX-B1 Blue Gaming Mouse Bungee and Active 2.0 USB Hub is equipped with 4 USB ports and a silicone "tail" for your gaming mouse cord. The flexible silicone tail bends and stretches with your cord to prevent any interference while you game. The 4 port active 2.0 USB can be used to transfer data or as a charging station. Besides the look of the GX-B1, you are most definitely wondering what the other similarities there are to the scorpion. As mentioned earlier, the scorpion tail is used swiftly and effectively to kill its prey. The GX-B1 uses its “tail” to prevent cord interference, so you too can swiftly and effectively dominate your game. Another similarity between the GX-B1 and scorpions is the blue coloring. The USB hub has alluring blue LED lights for an aesthetically pleasing experience. Scorpions too glow a vibrant blue color when they are exposed to ultraviolet light. We can go on and on about the similarities and effectiveness of each but you get the picture. 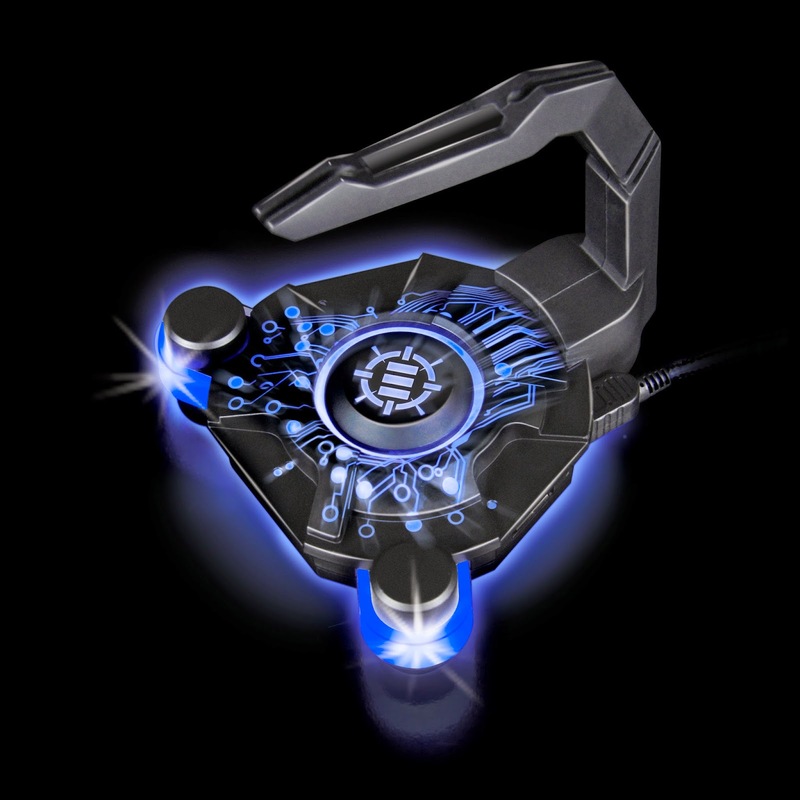 If you are a serious gamer or even just a scorpion lover, the ENHANCE GX-B1 is the perfect accessory for you.